Do you feel a need to add something to your home? A particular feature that will add to its visual appeal and make it stand out? You are not sure what it is but you’ve gone through various home decor magazines, surfed the internet and more for inspiration. If you’re in this situation, then your instinct is spot on! There are certain outdoor home improvements that not only automatically add to the visual appeal, but also vastly increases your property value. So just in case, you decide its time to move, you are sure to get a good return on investment. Here are some of the outdoor improvements that provide you with such benefits. Water does a lot of things to your yard – it beautifies, attracts wildlife, helps you relax with its soothing sound and can turn your yard into a sanctuary. Fountains are always a great idea on any project as they come in different sizes and budgets. While ponds are a bit pickier but also great when properly constructed and placed where it will be visible. These are the most used outdoor improvements as it provides the perfect little relaxation spot in your very own backyard. They are made of vertical pillars or posts and crossbeams which represents a perfect place for several fun activities. You can as well add comfy furniture, large potted plants, and an outdoor rug to make it a cozy outdoor room and open to the cool outdoor breeze. There is no denying the fact that landscaped yards have an instant appeal. Plant flowering shrubs to soften your home’s edges and add a burst of color to make even the more attractive. Trees shades the yard, adds oxygen to your yard and saves energy. There are a host of landscaping ideas that can turn your property to paradise on earth. When you think of all possible outdoor improvements, you will see that one is very vital to all – outdoor lighting. Do you want to make your water features, landscape or pergola even more stunning? 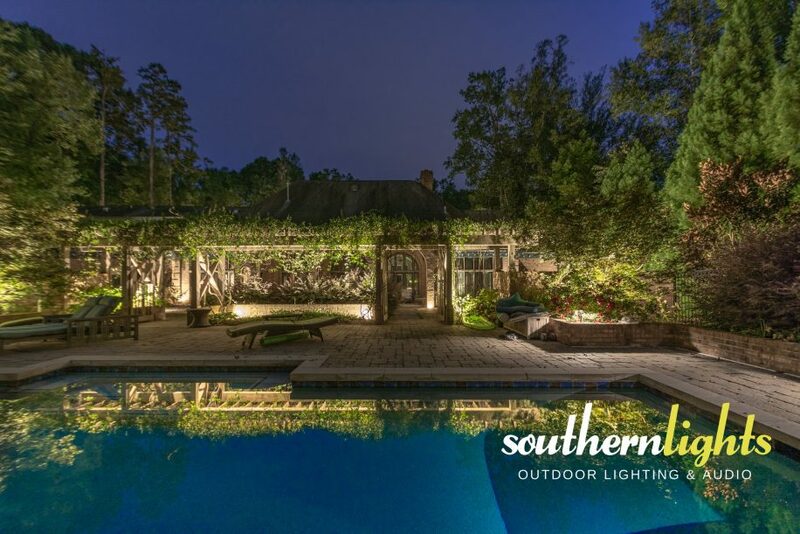 Then you may want to consider adding an artistic, professional landscape lighting. A quality outdoor lighting highlights your home’s best architectural features, casts your garden in a wonderful glow and illuminates your landscape. It beautifies your pool, patio, pergola and more. It adds to your safety, security and more importantly, it increases your property value. The list runs endless, you just have to try it to feel it!